Cherishing Spaces: Design of the week....All for FREE!!!! ....a new series. Design of the week....All for FREE!!!! ....a new series. Here's a treat to all my dedicated readers. With mails pouring in from various parts of the world requesting decor ideas, I decided to come up with something unique on my blog. This is a sincere attempt to share my creativity. All suggestions and ideas are most welcome. 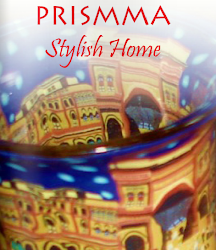 This series aims at sharing some of my designs with my readers. This will be mostly residential....unless.... ofcourse....i get a special request from somebody for a commercial design. 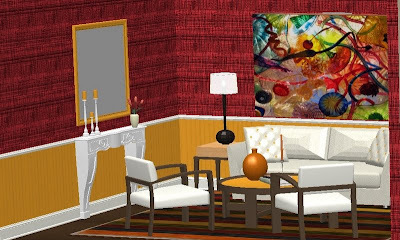 The idea behind this series is that...I would post one design for a room in a residence every often based on a particular inspiration or a theme........ofcourse, my lovely readers are always welcome to give in their ideas and suggestions. The motive is to enable everyone to have a designer home without having to visit a designer. Now, you have a ready made solution to your problem. You could also use this as a reference picture to tell your architect or your interior designer how you want your room to be. This makes things a lot easier. So, without too much talking........here's the design for the weekend !!!!!! 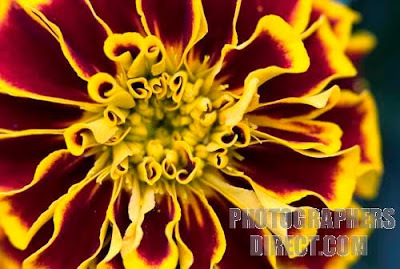 DESIGN INSPIRATION - The warm colours Maroon and Golden Yellow of the Marigold Flower. With due credit to http://www.photographersdirect.com/ for the above photo, let me begin with describing the design for this week. This is inspired by the warm colours of this beautiful flower. which has a fantastic balance of maroon and golden yellow. 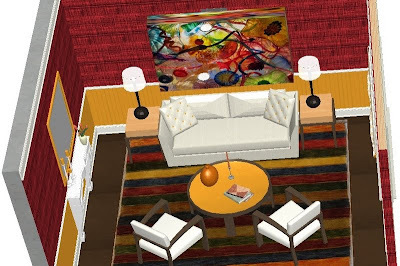 Inspired by these colours, I have created this living room on my software. I personally feel that a living room is a place where every member of the family meets to bond over after a tiring day. With warm colours, the place is automatically filled with conversations and induces a feeling of oneness. Here are a few views of the same room. I would like to explain some finishes as well. FLOORING: a dark coloured flooring of preferably wood or alternatively tiles with a colourful carpet. CEILING: Keep it in golden yellow. You could add some decorative plaster of paris mouldings. FURNITURE: Prefarably all white in subtle textures. ACCESSORIES: Minimal but obvious . 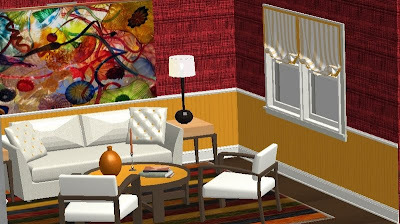 for eg., a huge abstract painting WINDOW TREATMENTS: Since there are too many details on the wall, my suggestion is to go for simple roman blinds in white. You are free to ask me any questions on this. I will be more than happy to answer them. I hope you all enjoy this series. This design series is going to be of great help and resource for design enthusiasts like me who always thinks of making a 'dream nest'someday!